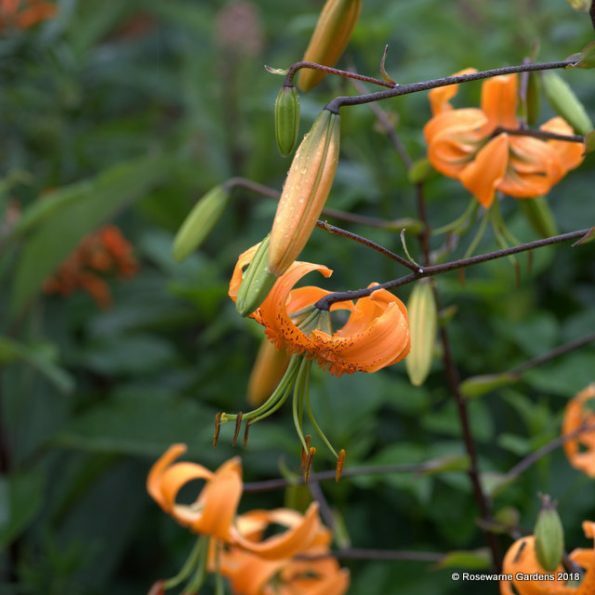 We planted these for several clients and each year they stand tall smothered in flower. 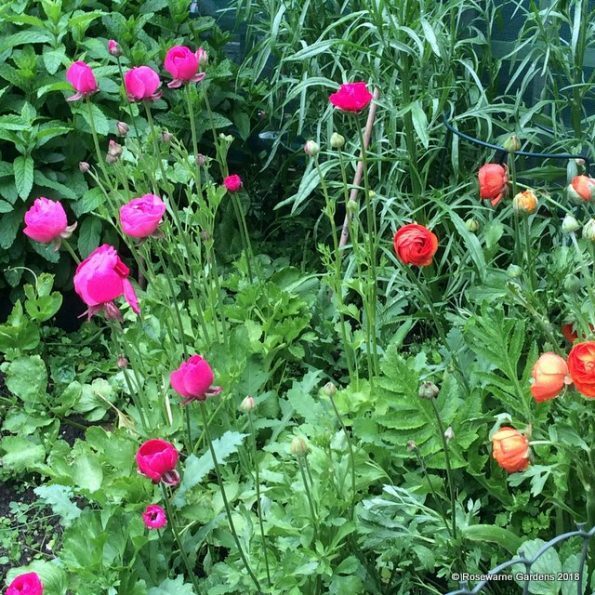 Ranunculus – a corm rather than a bulb and often thought of as a Spring flower due to flower farmers growing it through the winter under cover. It’s corm is testy and doesn’t really like the wet so to avoid losses best to grow it from Spring and enjoy it latter into the year. Soak the tentacle like corm until it’s fat and full, about 8-12 hours and them plant into enriched soil, they’re greedy, at about double their depth, tentacles down. Keep them well watered and fed through the season and they should be flowering happily for you through the summer. I have tried lifting my corms 4-6 week after the end of flowering (August/Sept) rinse them off and dry them out thoroughly, storing in a cool, dark, frost free place until next spring. The corms can grow quite large in some cases. I add to my Ranunculus every year, though I seem to lose a good few to squirrels each season. 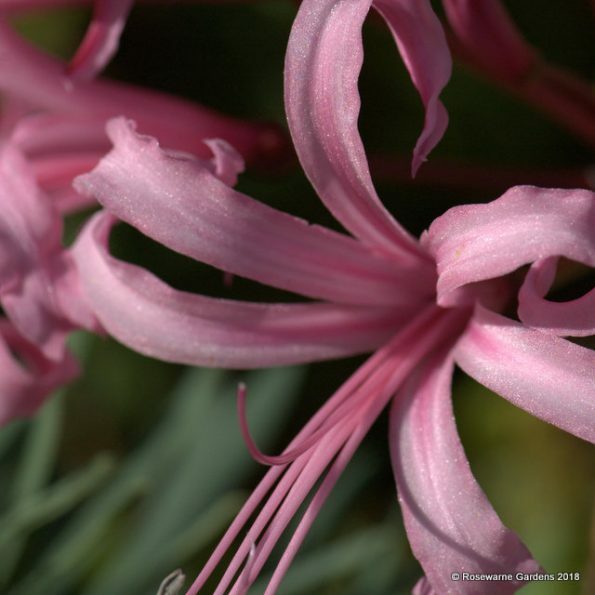 Nerine – a late flowering wonder the Nerine, the species in deep pink but a number of cultivars now come in paler pinks and whites to bring more variety to it. The flower emerges first followed later by leaves before it dies back for winter. The blooms are delicate spidery affairs and planted en masse provide a spectacular late flush of colour. Once established they need very little attention but a feed after flowering helps the bulbs build reserves for the following year. 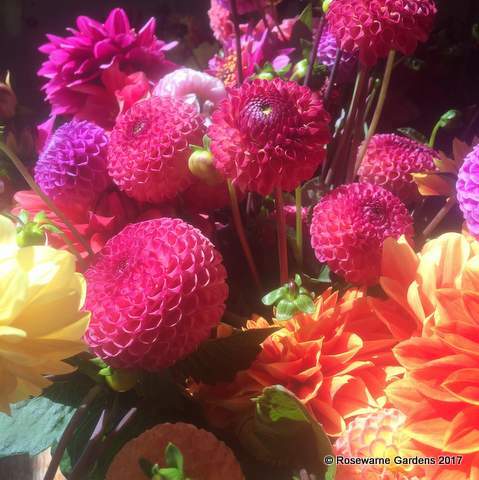 Dahlia – not strictly a bulb but a tuber there are simply dozens to chose from. Not hardy so you cannot plant them out until after the last risk of frost has passed, usually about June. Plants should be started indoors or in a green house, we grow them on the office windowsills, and one half of the desk by the windowsill! pinching stems out as they reach about 5 inches (12cm) making them bush out and produce more flowering stems. If you’re adept at cuttings then settle tubers in a loose compost, tuber half in half out, not too wet, place in a warm light area – indirect sunlight is best – and once they start sprouting shoots can be cut off with a small piece of tuber attached and potted into a potting mix usually from April. I don’t take more than 3 cutting from a tuber otherwise it becomes exhausted and fails to grow really well. Once cuttings are rooted, about 6 weeks (June! 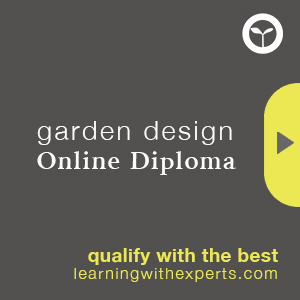 ), they can be planted out into their growing position (as long as all risk of frost has passed). I will admit freely to be a bit of an addict and have a smallish collection of 50 varieties, this year I’ll be adding another 12 varieties, hopeless case. Nanus Gladioli – rather new to us but a fabulous delicate little flower some with interesting markings. Notably called ‘dwarf’ by many catalogues it is of course only dwarfed by comparison to it’s much taller cousin. Nanus stands around 40-50cm so not so short!. It’s relatively hardier than the taller varieties and early summer flowering. Nanus Nymph has a delicate pink diamond at its hearts and can be sourced from GEE TEE bulbs.